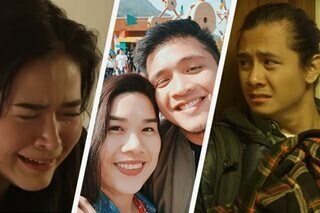 MANILA – Elmo Magalona revealed that he and Janella Salvador will be starring in an episode of “Maalaala Mo Kaya” ahead of their movie “My Fairy Tail Love Story,” which opens in cinemas in time for Valentine’s Day. “We don’t know kung pwede na sabihin pero we are going shoot an episode of 'MMK' soon. It’s going to be our first 'MMK' together. It’s exciting din kasi 'MMK' is a different show. I am excited to do it with Jea,” he told ABS-CBN News' Gretchen Fullido. Magalona, however, provided no other details as to the story of their "MMK" episode. Instead, Magalona opted to talk more about the upcoming movie. “Hopefully talaga a lot of people watch it. It’s not just romantic. It’s family-oriented din. I play the role of Noah, the best friend of Janella. Ako 'yung pinagkatiwalaan ng magulang niya na mag-alaga sa kanya kasi we have been friends since bata pa,” he said. Magalona said he is looking forward for their fans to see the unique dynamics of their characters. And since their movie is Regal Films’ Valentine offering, Magalona said it looks like he and Salvador will be together to celebrate the special occasion.